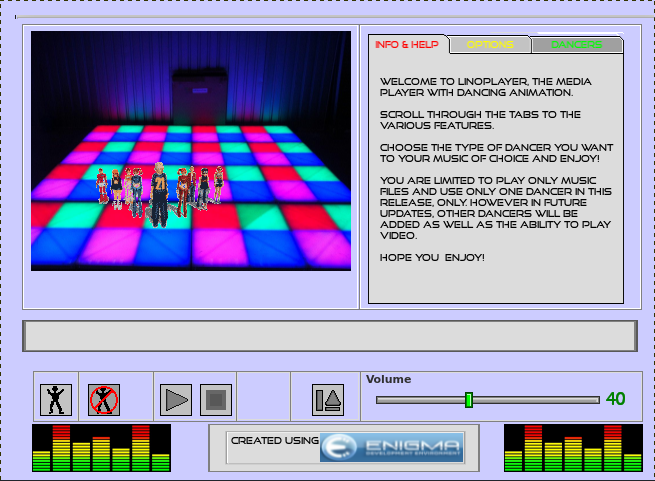 Welcome to Linoplayer version 2.0, the fun mediaplayer app with Dancing Animations for the Linux platform. 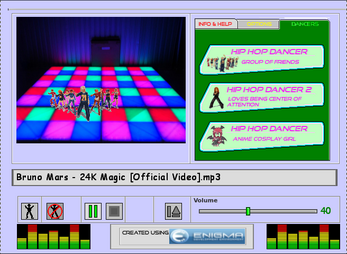 In this Update, you have an additional Hip Hop Dancer, and the ability to play videos on your local hard drive. Use your mouse to scroll through the tabbed menu to access that addition dancer. Click on the Video icon to go to your video library. 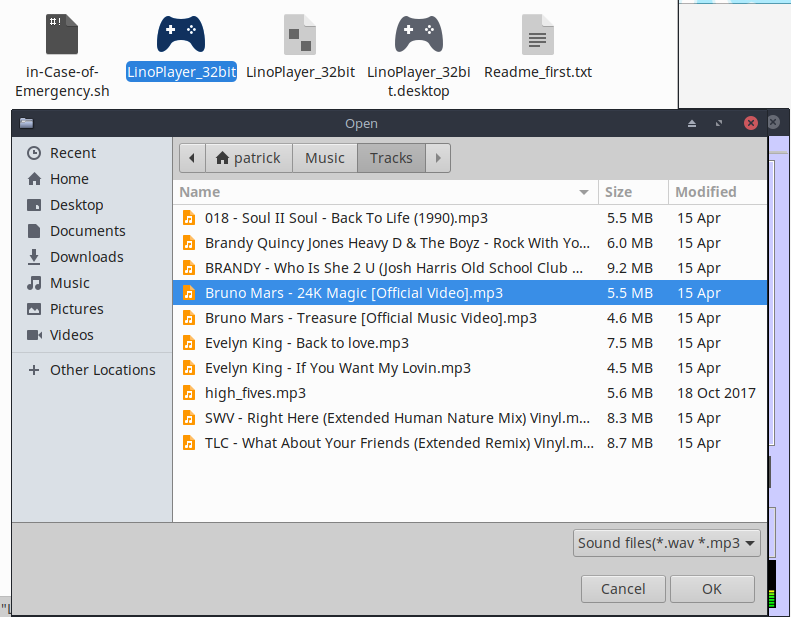 As you choose your file, it will play automatically. please note that the command-line program "Mpv" must be installed for that module to work. Answer 'y' to install and that's it. Please read the Readme.txt file for any additional information.